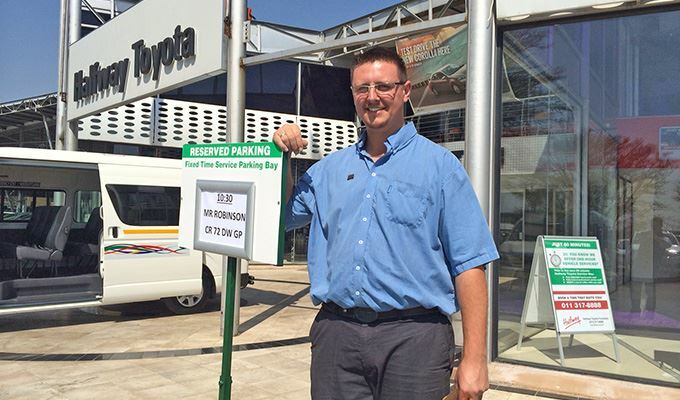 I had to put in a good word for the team at Halfway Toyota in Fourways JHB. This is great customer service - A personlised booking space, friendly, informed and well prepared service advisors, and a place to sit and work, with Wifi. This is the way all auto service should be experienced by customers. Congratulations to the management and team for a job really well done. Now, to examine those parts prices....Hmmm. Image: Pictured at reception is Frank Wolmarans of Halfway Toyota.